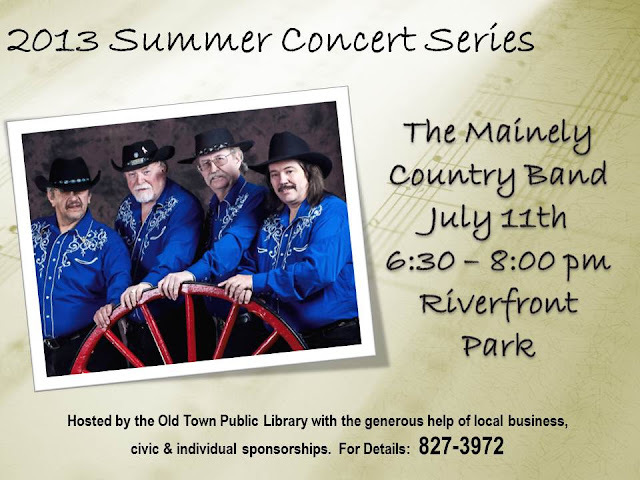 SUMMER CONCERT SEASON BEGINS WITH THE MAINELY COUNTRY BAND! Thursday, July 11, 2013 ~ 6:30-8:00 p.m. Kick off the 2013 Summer Concert Series with us on Thursday, July11th, with the Mainely Country Band. The Mainely Country Band is a professional, four-piece country/country rock band with over 60 years of experience in the musical entertainment business.